> To check your remaining BSNL 2G/3G data balance Call USSD number *112# & press "2" to know your remaining 3G/2G/GPRS Data. 1. Visit nearest BSNL franchises or Sales office, you have to buy a new 3g Sim or you can discuss for 3G on your existing SIM. 2. Then select an appropriate plan by calling customer care center.3. After adding plan, you have to select the 3G Configuration setting (available online). 6. Click to “Device Management” and Select Vendor & Model from the dropdown, then after click over “configure my Phone”. 7. After getting 4 sms within 5 Sec, please save the message which you got, it will work as configuration setting in your Mobile. 8. Enjoy the High speed 3G Internet in your postpaid card. -- Type Your a/c no. 6. Your Data usage with all details will appear. Note -- I had tough time finding this all for myself,now I wanted it share with you all and save your time and unwarranted problems. Thank you Somesh.. Happy Commenting.. It will helpful for BSNL Postpaid users. You have to recharge your BSNL Data packs at any Mobile recharge dealer near by you or by Online. 1. 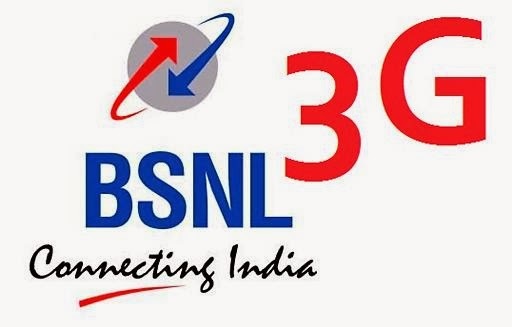 2G Post Paid customers can apply for migration form 2G to 3 G at nearest BSNL CSC. Charges for 2G to 3G Migration Rs110/- will be adjusted in next bill. 2. 2G Prepaid Customers of General Prepaid Plan can migrate to 3G by recharging with Rs 151/- migration voucher. Other Prepaid Customer has to recharge his mobile with zero valu vauter to migrate to General Prepaid plan before recharging with Rs151/- migration voucher. After migration Plan 350 will be applicable till customer migrates to any other higher plan. You can use Paytm.com to recharge online, This site is very reliable. i did special 139 rupees recharge on my bsnl no. but neither i got 1 gb internet nor i have got any balance after this recharge. Did you recharged from Paytm.com? If yes then don't be sad, paytm was down from couple of day. You will get your money back within 45 days, or call to their customer care number. Try your bank website to recharge your mobile & the best way is to recharge from recharge stall near by you! can i ask a silly qn? i have a blackberry. Activated 3G on it, and i can tether my laptop to get internet. However, if i try to browse my phone (say IE or youtube), it would say "there is insufficient coverage to process your request". i have enabled data services. Can I recharge my phone with Data plan in BSNL sitting home by sending text or by any other means...??? No Aadarsh, You have to recharge your BSNL data vouchers through your nearest recharge shop or by online websites(mean to by sitting home). Can I attach my BSNL 3G dongle to my wi-fi router and have it work on the network? if you have sufficient balance, this is possible. 139 is for data voucher. roaming- 1 paise/10KB ( for Plan-1 to 6). My BSNL sim card is under BANDHAM plan in AP. I am accessing internet as and when required using STVs. I planned to visit Tamilnadu next two weeks. How can I access internet through my mobile on roaming? Is STVs are roaming free? or any other plans to use roaming free internet for BSNL sim cards? BSNL Internet plans (STVs) are already roaming free. You can access internet all over India for NO roaming charges. How can I get BSNL internet settings on my xperia m dual c2004? You need to do manual settings, I have answered Neeraj for the same, please see in the reply of "Neeraj's" Que..
how can i get bsnl gprs settings on my samsung galaxy star ??? Hi Neeraj, You have to do manual setting in your Samsung Galaxy Star, Here are the Manual setting..
Hope you got your answer, if any Que please email us from "Contact Us:" box. if i have to use internet on BSNL then, can i use 139 recharge voucher???? You can recharge plan voucher of Rs. 139 - It is combined for 2g and 3g phones. What are charges and procedure for activating 3G data plan (125rs - 1GB) on postpaid Sim card? Can it be done just via SMS or online ? Because person at bsnl office asking additional 125 for activating internet.